The College | Command and General Staff College Foundation, Inc.
CGSC’s mission is to educate and develop leaders for full-spectrum joint, interagency, and multinational Operations; act as lead agent for the Army’s leader development programs; and advance the art and science of the profession of arms in support of Army operational requirements. 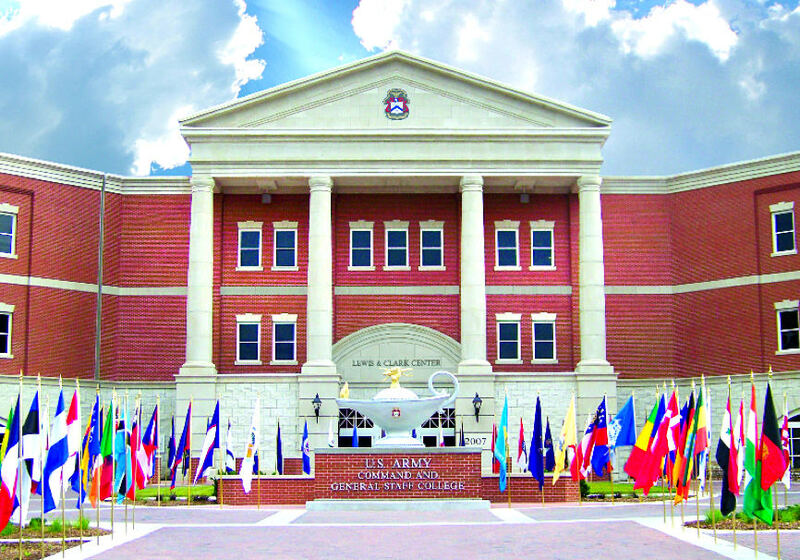 Since its inception in 1881 as the School of Application for Infantry and Cavalry, the Command and General Staff College has evolved to meet the educational and operational needs of the United States Army. Since World War II, it has generally been known as the school for Army majors, though the College contains other schools and it educates officers from other military services and from other countries. CGSS (Command and General Staff School)—Out of old habits many still refer to this course as CGSC). All Army Majors with a small contingent of officers from the other service branches and international officers attend CGSS. CGSS’s mission is to educate and train field-grade officers to be adaptive leaders, capable of critical thinking, and prepared to operate in full-spectrum Army, joint, interagency, intergovernmental, and multinational environments. This education prepares officers for the next 5-10 years of their career. CGSS is primarily taught at Fort Leavenworth, but some Army Majors receive the Command and General Staff Officers Course (CGSOC) “Common Core” instruction at one of the four satellite campus locations: Fort Belvoir, Va.; Fort Lee, Va., Fort Gordon, Ga., and Redstone Arsenal, Ala. Additionally, about 8,000 students each year, primarily Guard and Reserve, receive CGSOC Common Core instruction via the internet through CGSS’s Department of Distance Education. SAMS (School of Advanced Military Studies). SAMS educates the future commanders and leaders of our Armed Forces, our Allies, and the Interagency at the graduate level to think strategically and operationally to solve complex problems across the security environment. The School administers the Advanced Operational Art Studies Fellowship Program, a senior service college fellowship, and the Advanced Military Studies Program, a second year of intermediate, master’s level education. SCP (School for Command Preparation). SCP is a one to four week course taught at Fort Leavenworth that provides education and preparation for Colonels, Lieutenant Colonels, Command Sergeants Major and their spouses selected for Battalion and Brigade levels of command. CGSC is a fully accredited college by the Higher Learning Commission of the North Central Association of Colleges and Schools. 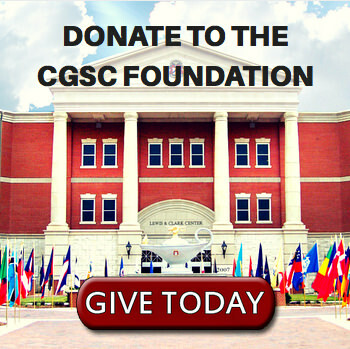 CGSC provides graduate level instruction and offers a master’s degree program through the CGSS and the SAMS courses to officers who elect to enroll in the program of study. As with any graduate program the requirements for a Masters in Military Arts and Sciences are demanding. 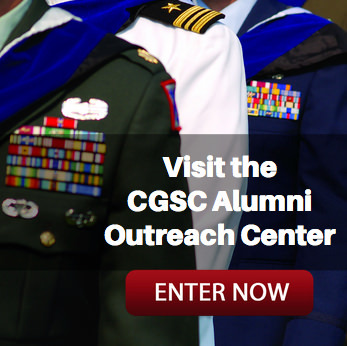 CGSC is led by the classic military chain of command, but also includes a collegiate structure under the Dean of Academics. The CGSC Deputy Commandant, a Brigadier General, is responsible for the day-to-day operations of CGSC and reports to the commandant, a Lieutenant General, who is also the commander of Fort Leavenworth.